382 pages | 24 B/W Illus. This edited collection traces the social, economic, political, and cultural dimensions of Korea’s dramatic transformation since the late nineteenth century. Taking an interdisciplinary approach, the chapters examine the internal and external forces which facilitated the transition towards industrial capitalism in Korea, the consequences and impact of social change, and the ways in which Korean tradition continues to inform and influence contemporary South Korean society. Transformations in Twentieth Century Korea employs a thematic structure to discuss the interrelated elements of Korea’s modernization within agriculture, business and the economy, the state, ideology and culture, and gender and the family. The essays in this volume encompass the Choson dynasty, the colonial period, and postcolonial Korea. Collectively, they provide us with an original and innovative approach to the study of modern Korea, and show how knowledge of the country’s past is critical to understanding contemporary Korean society. 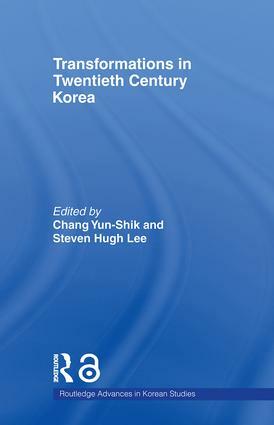 With contributions from a number of prominent international scholars within sociology, economics, history, and political science, Transformations in Twentieth Century Korea incorporates a global framework of historical narrative, ideology and culture, and statistical and economic analysis to further our understanding of Korea’s evolution towards modernity.